Go Ahead Tours staffer Salam tasted some of Spain and Portugal’s best flavors on tour, and this is the recipe she’s still dreaming about. “The crispness and richness of the fried eggplant with the light sweetness of the honey is a combination to die for! Nothing compares to eating this with a glass of wine on a warm summer night in Barcelona,” she said. Want to try Salam’s favorite Spanish dish at home? Check out the recipe below! Cut the eggplants into round slices. Pour the milk into a bowl, add a pinch of salt, and submerge eggplant pieces in milk for about 2 hours. After eggplant has soaked, drain the milk. Cover a shallow plate in flour and a pinch of salt. Working in batches, take the eggplant slices out of the milk and dredge in flour on both sides. Coat a deep pan in oil and place over high heat until oil starts to sizzle. 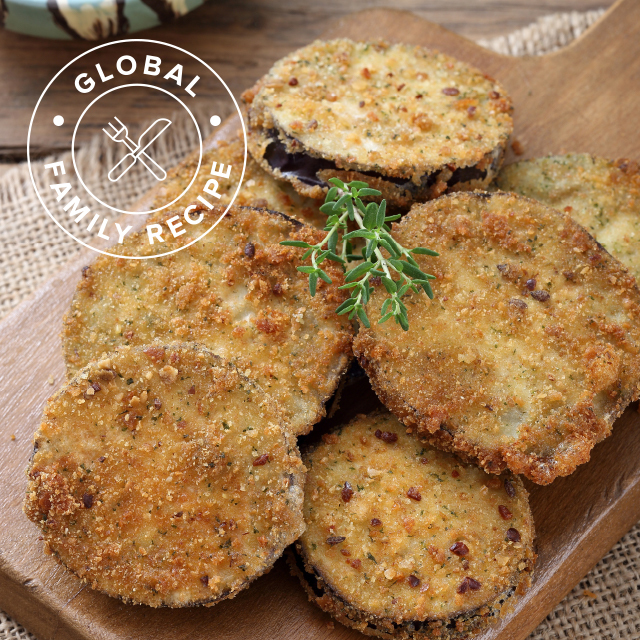 Arrange eggplant slices in the pan in a single layer and brown on each side. Remove from oil, drain on paper towels, and sprinkle with a pinch of salt if desired. Drizzle honey on top and serve immediately. Did you make this recipe at home? Share a snap of your meal with #goaheadtours on Instagram.